“RANN RESORT DHOLAVIRA” welcomes you to the world where you can re- energies and breathe free! 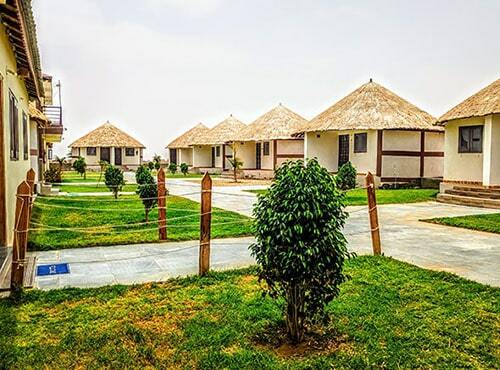 Rann Resort Dholavira is located quite and lively area within short walk distance of Greater White Rann of Kutch and just 3 km from Famous archaeological site ( Harappan site) of Dholavira, All the sightseeing are within the short distance from resort. The resort has imaginatively designed cottages traditionally built and very comfortable and suitable for the stay in all seasons. The resort Offers Jeep safari, Atv rides in the White ran of kutch, It also offer sky/star Gazing and special full moon facility from the middle of white Rann.